ArcMap – The 32-bit Windows program for map creation and analysis. 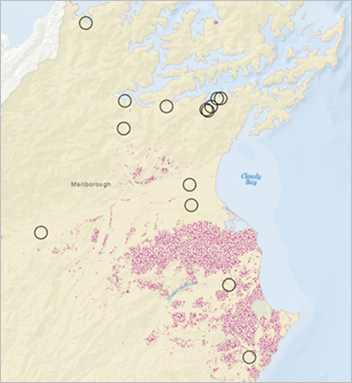 ArcGIS Pro – The 64-bit Windows program for map creation and analysis. 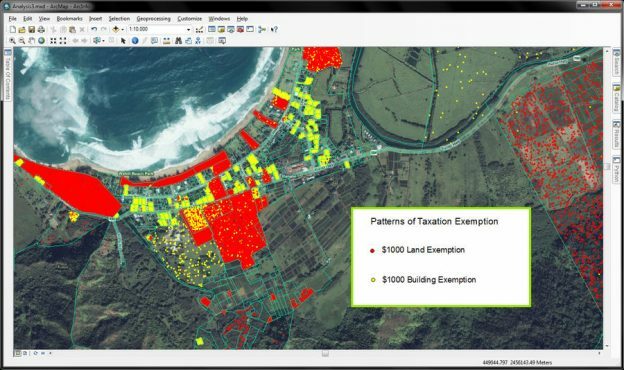 Use maps to visualize, analyze, compare and interpret spatial data in 2D and 3D. Add boundaries and data to map layers from a data file, database, ArcGIS online, and ArcCatalog. Convert multiple sources to a single map projection. Overlay population density with distance to parks calculations to optimize new park locations. Data sources include databases and geodatabases, raster images, tabular data (e.g. Excel), shapefiles, and coverages (vector data and attributes). Manage data in a geodatabase. Work with raster datasets (images and gridded data). Create 2D and 3D features. Create topology rules for your data. Use ArcGIS Online as your collaborative web GIS to source and share data. Define which persons and groups have access to private data, or share publicly in web pages, blogs, and social media.